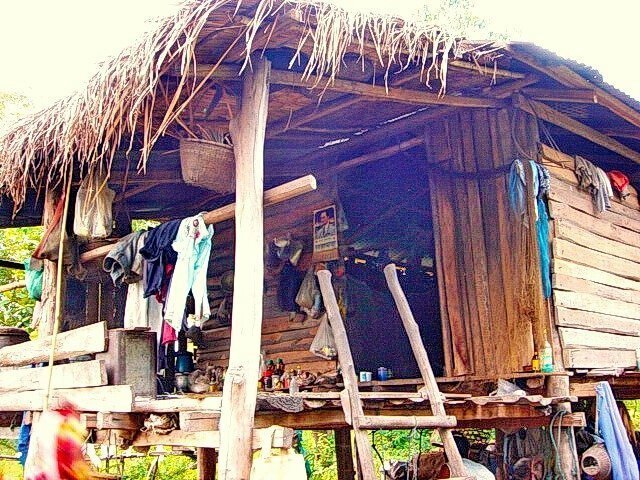 Is Thailand a third world country? I will let you decide. I live in Chiang Mai which is the second most important city in Thailand after Bangkok. Doesn’t sound very third world, does it? I am definitely not deprived of anything. People here drive late model cars, WIFI is everywhere, and I don’t know anyone who does not have a mobile phone (and that includes teenagers of all ages). The charm is that amongst all these modern amenities you find beautifully decorated and ornate temples, bustling markets which have not changed much in decades, barefoot monks collecting alms in the morning, and an unhurried lifestyle that makes you instantly feel at ease. Everyone has time to talk to you, absent are the harried looking businessmen who are rushing about, clutching their briefcases while nervously looking at their watch. Instead people smile at you and nobody seems to be in a hurry. If you leave the city you soon encounter small towns and villages which have retained much of the simplicity of rural life without having been bypassed by modern life. Residents plant colorful trees, bushes and flowers in their gardens and along the road, they leisurely go about their business and always find time to chat and eat with their friends. 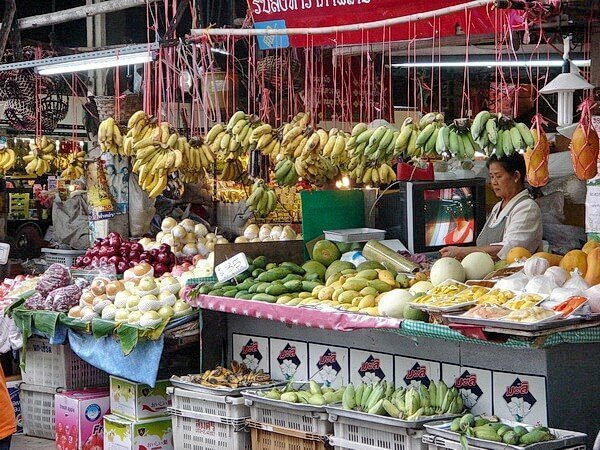 Busy, colorful and noisy outdoor markets attract your senses in ways that you will never experience in the sterile environment of modern supermarkets. 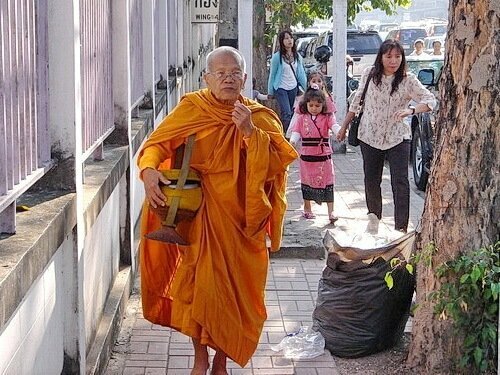 Religion is not separate from secular life, but Buddhism is not mandated or forced on anyone. Monks are seen everywhere and they are very much part of life in Thailand. Most major decisions and most festivities and ceremonies involve the presence and the advice of monks, but there is no pressure or obligation to visit the temples. Buddhism is more a lifestyle than a religion. The spiritual and the mundane interact daily and cannot be segregated as they are by law in many western countries. Buddhism has given Thailand much of it’s greatest architecture, a lot of color and beauty, and much wisdom. It would never occur to any Buddhist to judge another religion or to attempt to convert anyone to Buddhism. Temple activities are open to Buddhists and non-Buddhists alike – there is no concept of non-believers or segregation of religions. Buddhism is very tolerant and accommodating. Thailand’s south is the beach scene, whereas the north is characterized by scenic mountains, culture, and lots of great places to see. Travel in Thailand is very easy and the infrastructure is mostly very good. There are some rural and remote areas which will remind you of third world images. Overall it is fair to say that Thailand is not a third world country, but a developing, or second world nation. Living in a vibrant city like Chiang Mai combines modern lifestyle and amenities with the ambiance of ancient culture and a relaxed and pleasant way of life. Living in Thailand’s capital of Bangkok thrusts you into a more accelerated and westernized lifestyle which has lost some of its charms. Living in the rural or more remote areas of Thailand can be very peaceful and beautiful although the tradeoff is less access to modern amenities, shopping, and facilities. Rural huts and glitzy mega malls, bicycle rickshaws and BMWs all coexists in Thailand in an easy-going manner, creating interesting contrasts. Particularly Chiang Mai is one of the major holistic hubs in Southeast Asia. There are countless massage shops, where you can get a one hour massage for $5-$8. And there are lots of massage schools, yoga centers, meditation retreats, Qigong training, energy healing, and many others. One aspect which makes life in Thailand very pleasant is that the Thais are mostly very friendly and helpful. It is very rare to see Thais get angry, and with only few exceptions they are never pushy or aggressive in any way. Most people feel instantly at ease in Thailand, and tens of thousands of westerners have succumbed to the charm of this country and have settled here for good. Thailand is home to a huge amount of expats, many of whom are married to Thai spouses and have chosen to stay there permanently. Cross-cultural relationship have their pros and cons. For more information about relationships in Thailand, please read this series on our site. One big reason why so many people choose to live in Thailand is that the cost of living is much lower than in western countries. Housing, both renting and owning a home, are often a fraction of similar housing in the western world. Local Thai food is very cheap. 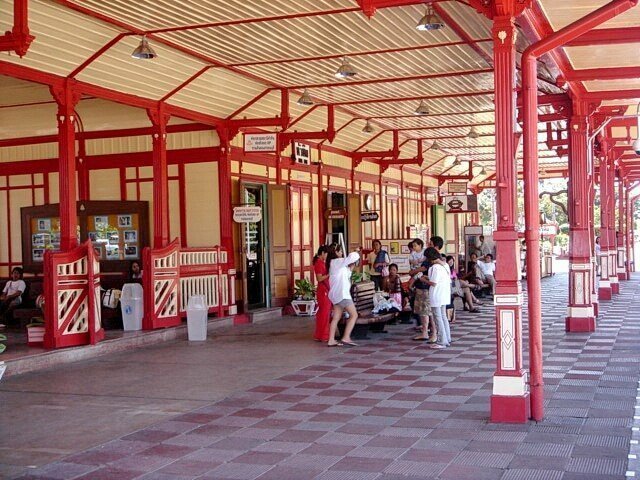 The northern part of the country, with Chiang Mai as a hub, is generally cheaper than the southern section. Tens of thousands of retirees have found that they can afford a much better standard of living with their retirement funds in Thailand compared to their home country. No country is perfect, and that includes Thailand. It does get quite hot during certain times of the year, and it can be quite humid, especially in the central and southern areas. So if you don’t handle hot tropical weather well, then Thailand might not be ideal for you. Also the visa process has become quite complicated and cumbersome in recent years compared to neighboring countries like Vietnam or Cambodia where you can get a visa online quite easily. A third factor is that the northern part of Thailand suffers from high air pollution during the months of March and April due to agricultural burning which can be a serious health hazard and causes many people who can afford it to leave during that time. Thailand is a beautiful country. It has friendly people, a low cost of living, and good food. Bangkok is a major airline hub with excellent connections at good prices due to lots of competition. Like everywhere in the world, there are some negative factors. However tens of thousands of expats agree that the positives outweigh the negatives by a large margin. A great topic – living in Thailand! I enjoyed your article – and that’s a novel way to show everyone what living in Thailand is really like. In my ebook, “Living in Thailand” I listed out my “1st times” in Thailand – and, of course I had to edit them just a little bit, but there are some shockers, nonetheless. Living here gives one a really nice perspective on how people totally unlike you go about living their lives in a way that works for them just fine. Mike, the air quality in Chiang Mai depends on the season. The air is the cleanest in the rainy season from June through October. The rain cleans the air and the clouds keep the heat down. The worst time is March and April which is the hottest time of the year and also the burning season with slash and burn agriculture causing a lot of pollution. The most pleasant time for visiting is November through January which is winter, with day temperatures warm and cool nights, and no rain. This is why i am here as well. Its semi difficult to explain why living in chiang mai is so good to people that haven’t lived here before. Even when my friends come for a short time they still won’t get a full grasp of what its like to actually live here day in day out. My wife is Chinese and I American. We are travelling to Thailand purposely to assess if we want to live there half the year from December to May and back in Snoqualmie, Washington from June to December. We are very excited and are looking at Chiang Mai to stay most of the time. We are visited many other locations in Thailand as well. Is there any way we could connect (we are there January 7th to 14th) or could you recommend what agency or expat locations you would recommend us to visit. Thank you for the great article. Happy Holidays. Your wife will have lots of Chinese company in Chiang Mai since there are many thousands of them living there, and huge numbers of Chinese tourists visit Chiang Mai throughout the year. I recommend that you change your time frame for living here to the period from beginning of October to the end of February, if possible. Then you catch the best weather and the nicest time of the year. In March, April and May it is burning hot with high pollution. That’s a time which is best avoided in Chiang Mai. 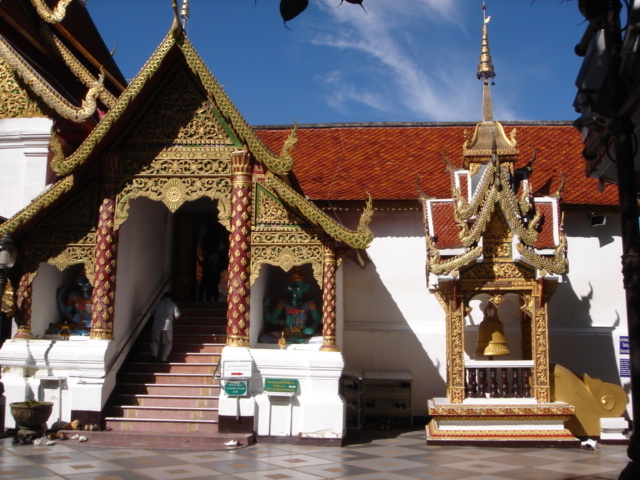 You will see that it is extremely easy to find out what to do in Chiang Mai. There are plenty of active facebook groups with lots of information and many people willing to answer questions and help you out. That’s the best place to start. I don’t live in Chiang Mai anymore. We recently moved to a small town in the mountains several hours drive from Chiang Mai. You might want to check out https://thaivisa.com as well. There is plenty of expat information in there. hey Shama, great article. I’m thinking of moving to retire in Thailand. I am 65 , in good health. But afordable heath insurance seems hard to find, does it even exist?What do the expats that Retire in Chaing Mai do for health insurance?Please help. I have a small nest egg, a pension and social security totally 3000 a month. Can I retire in Chang Mai, and get health insurance, and live comfortably on 3000 a month? Total of getting heath insurance and living expense together-3000 a month? Hi Jimmy, with $3000 a month you can live like a king in Thailand, including health insurance. Now I have to say that health insurance for expats is not exactly cheap here, especially when you are over 60. But still, it easily fits into your budget, nothing to worry about.